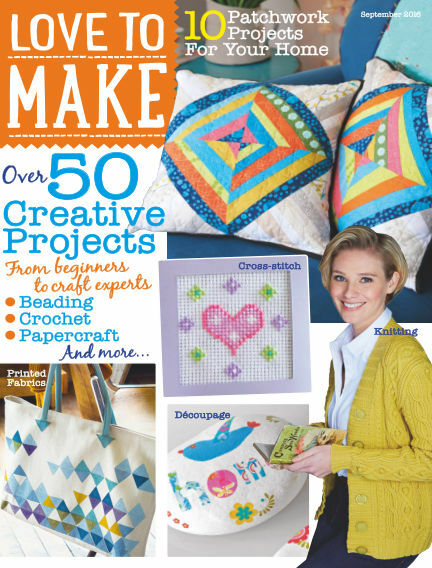 In this issue of Love To Make with Woman's Weekly : The Love To Make from Woman’s Weekly magazine has a variety of different craft projects for all the family to enjoy. From sewing projects, upcycling, cross stitching, making mosaic and jewellery making, you’re bound to find something you fancy making. It’s the perfect time to get crafty! With Readly you can read Love To Make with Woman's Weekly (issue Craft (9) 2016) and thousands of other magazines on your tablet and smartphone. Get access to all with just one subscription. New releases and back issues – all included.